Mr. Welch was raised in Ormond Beach, Florida, and after graduation from Seabreeze Senior High School, he enlisted in the United States Marine Corps. During his enlistment, he was stationed primarily in California and was deployed to the Persian Gulf and Somalia, playing an active role in Operations Desert Shield and Restore Hope. Having proudly served his country, Mr. Welch then attended the University of Central Florida while managing high-volume restaurants. Mr. Welch was on the President's List or Dean's List every semester, was a member of Phi Alpha Delta pre-law fraternity, and was elected to the Golden Key National Honor Society. Mr. Welch was also the recipient of the Phi Alpha Delta Scholarship and the Department of Criminal Justice/Legal Studies Certificate of Achievement. He graduated in 1998 with a Bachelor of Arts in Legal Studies. After graduation, Mr. Welch embarked on his legal education at the University of Florida Fredric G. Levin College of Law. He was awarded the Book Award for the Pro Se Clinic in recognition of achieving the highest mark. In 2001, Mr. Welch received his Juris Doctor degree and returned to his hometown to launch his legal career. 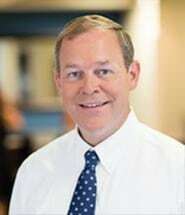 Mr. Welch is admitted to The Florida Bar, the United States District Court for the Middle and Northern Districts of Florida, and the United States Court of Appeal for the 11th Circuit. Mr. Welch is an ex-officio member of the board of directors of The Florida Bar Young Lawyers Division. He is General Counsel and serves on the Board of Directors of Habitat for Humanity of Greater Volusia County, Inc. Mr. Welch also serves on the Board of Directors for PACE Center for Girls Volusia – Flagler, which provides girls and young women with an opportunity for a better future through education, advocacy and counseling. He is a past president of the Volusia County Bar Association and a past president of the Young Lawyers Division of the Volusia County Bar Association. He represents clients in the areas of real estate, commercial litigation, business issues, and employment law. He is a graduate of Leadership Daytona Class XXIV and Ormond Beach Leadership II. While not working, Mr. Welch enjoys running, cycling, traveling, cooking and spending time with his family.